USD 258 Humboldt Elementary School - Protection Shelters LLC. Students at Humboldt Elementary School in Humboldt, Kansas now have a safe place to go in the event of a tornado. This 30’X85′ structure will be a multi-purpose facility. 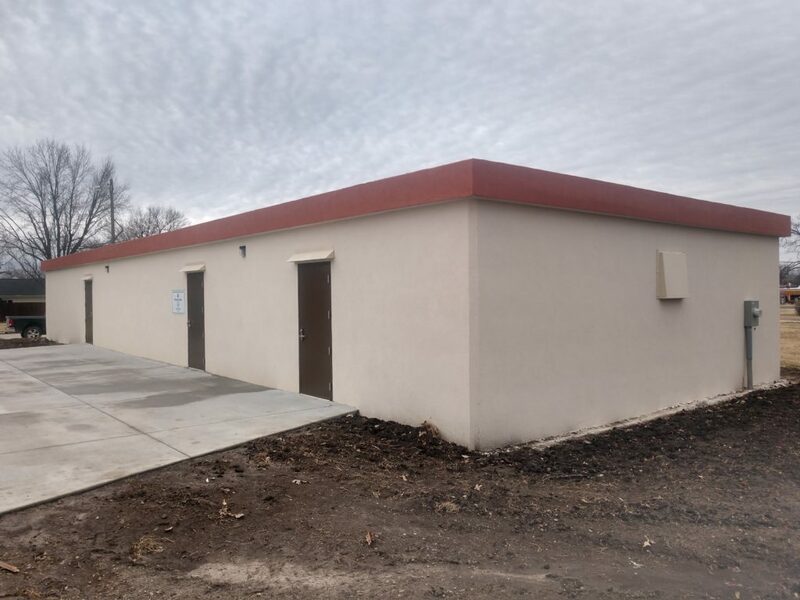 With a stucco finish painted to match existing buildings, the new shelter blends right in!